Health Minister Simon Harris has agreed to meet with consultants from Merlin Park Hospital regarding the need for investment after roof leaks closed two operating theatres last week. The meeting has been arranged by local Fine Gael TD Hildegarde Naughton, who has been working with consultants and health service management in relation to proposals for a new hospital in Galway. The roof leak has resulted in the suspension of all elective orthopaedic surgery in Galway. However interim arrangements are being made for some elective surgery to be carried out using operating theatres at University Hospital Galway (UHG ) using specialist nursing staff from Merlin Park. Nonetheless patients currently on waiting lists for such procedures will be affected. The meeting with Minister Harris will allow orthopaedic consultants attached to Merlin Park, to outline the impact of the current situation and to discuss possible solutions. 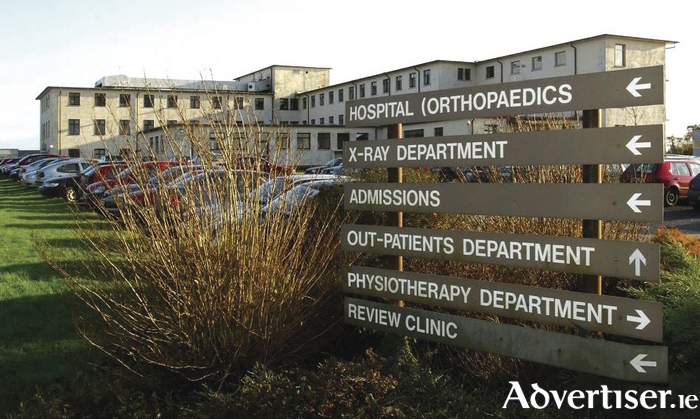 “We are very lucky to have probably the best orthopaedic department in the State, staffed by a world-class team of clinicians and nurses," said the Galway West TD, "but they have been housed in a building that dates from the 1950s, and that is a situation that is common throughout our local hospitals." Dep Naughton said the situation of the leaking roof and suspension of operations was a result of "historical underinvestment in hospital infrastructure" with "the cracks now literally starting to appear in our ageing healthcare facilities". She also warned against a "stopgap solution" to the problem at Merlin Park, and reiterated her call for the development of a new acute hospital on the Merlin Park grounds.